The three tables defining N values are defined as follows. The importantant thing to be noticed is that there are big difference between CEmodeA and CEmodeB in terms of max Number Repetition. In General, CE Mode B perform much more repetition. 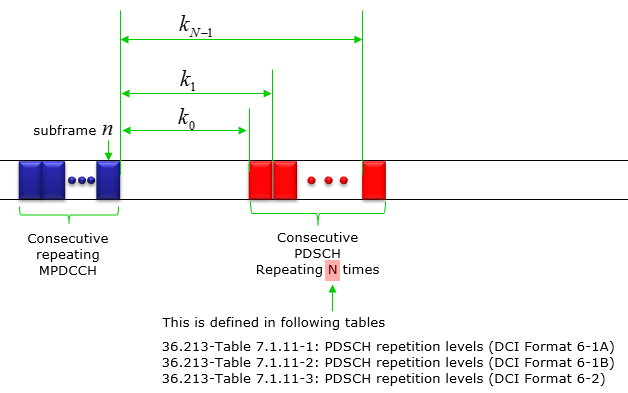 The max number of repetition is configured by higher layer signaling (SIB2)as follows.